I Can't Keep Calm. 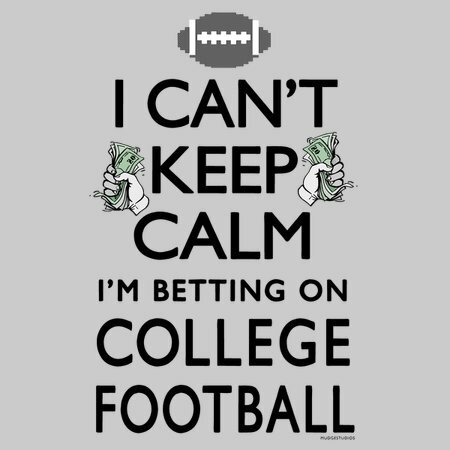 I'm betting on College Football. 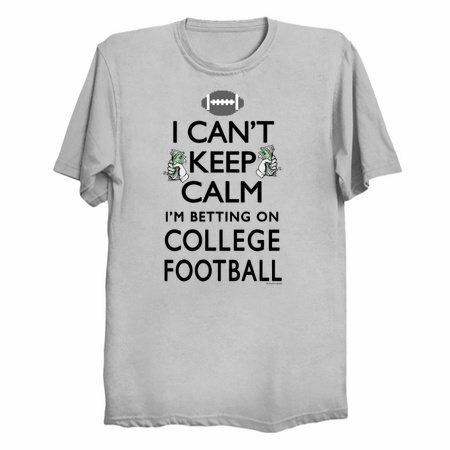 Funny college gridiron t-shirts featuring Mudge Studios Take on the classic British WWII propaganda poster Keep Calm and Carry On for the College Pigskin fan.